My son and I are collaborating on two new lessons. One will be on heaven and the other will be on hell from Luke’s Gospel, “The rich man and Lazarus”. I would like to use the technique that was used in the background for the verse above. You will need a can of foamy (not gel) shave cream, red and yellow food coloring , some sort of brush (wider bristle is best …3/4- 1 inch) and a toothpick. Try practicing with a half sheet of white cardstock in your sink. Squirt some shaving cream in a plastic lid…about 1/4 cup. Drop 3-4 drops of red foodcolor and in different spots drop your yellow. Take your tooth pick and lightly swirl the colors. Load up your brush with cream/color mixture and spread in long even strokes, covering your paper….once you apply the mixture in one area, don’t go back and disturb it with more strokes. Wait 2 minutes and now the “magic” happens. Wipe your page with a paper towel. If you want to save the shaving cream (it can be used more than once), you can “squeegie” it into a pile with a ruler or a spatula. You should have some pretty interesting “flames”. You tube has some demonstrations of this but they have you squirt your shaving cream in a paper plate, drop your colors…swirl them, and then plop your paper facedown in the mixture. Their results are not as dynamic but it is a less messy process….I think!!!!! I recommend plenty of wet paper towels for clean up. The one advantage of making these ahead of time, is that they can be thoroughly dried, stacked up and put under heavy books to flatten as they will tend to curl up. You might consider a 2-part lesson…Jesus had a lot to say about this subject! Hey all you “bravehearts” out there…want to have some fun? To make this “plaid” background you will need your cardstock, food coloring (3 different colors) and 2 babywipes. Place your babywipes together and fold up into a rectangle aprox. 2 1/2 inches by 2 inches. One of the 2 1/2 inch edges should have a smooth fold. This is where you are going to place 6 drops of foodcolor. I used one drop of yellow, one drop of blue, one drop of green…then repeat. Now swipe this on your paper….from top to bottom…all the way across the page Add new drops of foodcoloring in the same locations as before because you are going to give your paper a quarter turn and make your swipes from top to bottom again…this will complete your plaid. I tried this with plain damp paper towels but the effect was not as brilliant… the chemicals in the babywipes must facilitate the color somehow. A note about memory work: I would like to encourage you to foster some sort of memory verse program with your kids. 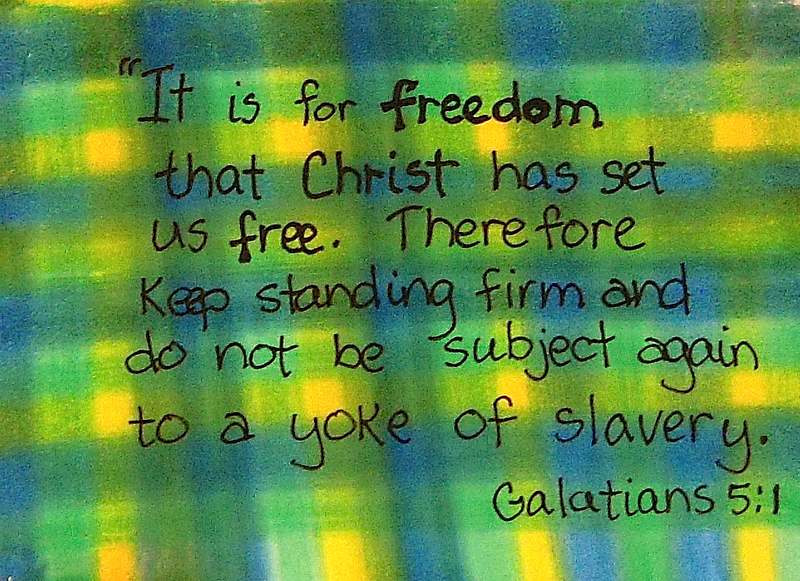 One Sunday School I was a part of, offered paper “bucks” for remembering the verse the following week. The kids were able to redeem the bucks in a little “store”. 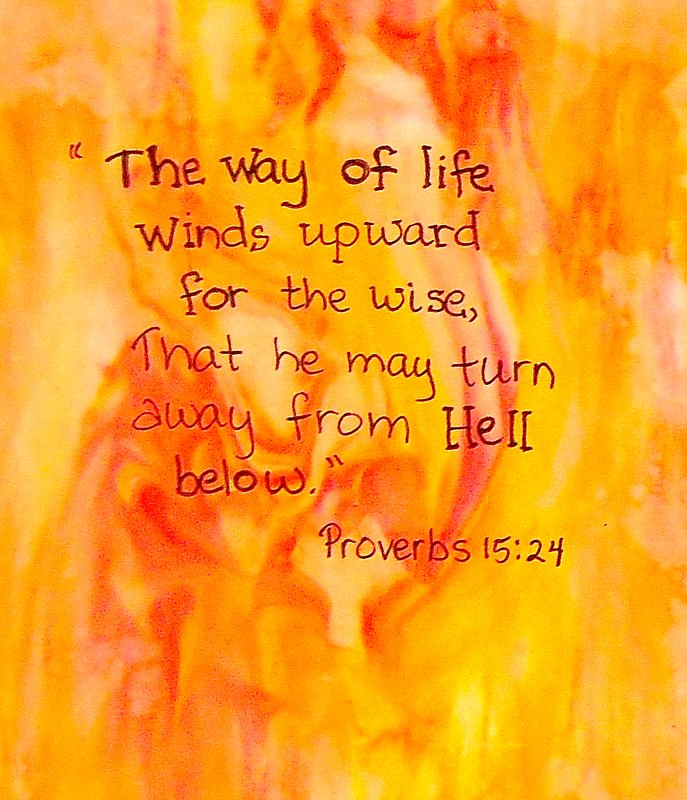 Whatever method you come up with, please emphasize the bible verses from each lesson. It is the main purpose of the worksheets … and should be the reason we are involved in this ministry…”from childhood you have known the Holy Scriptures, which are able to make you wise for salvation through faith which is in Christ Jesus.” (2 Tim. 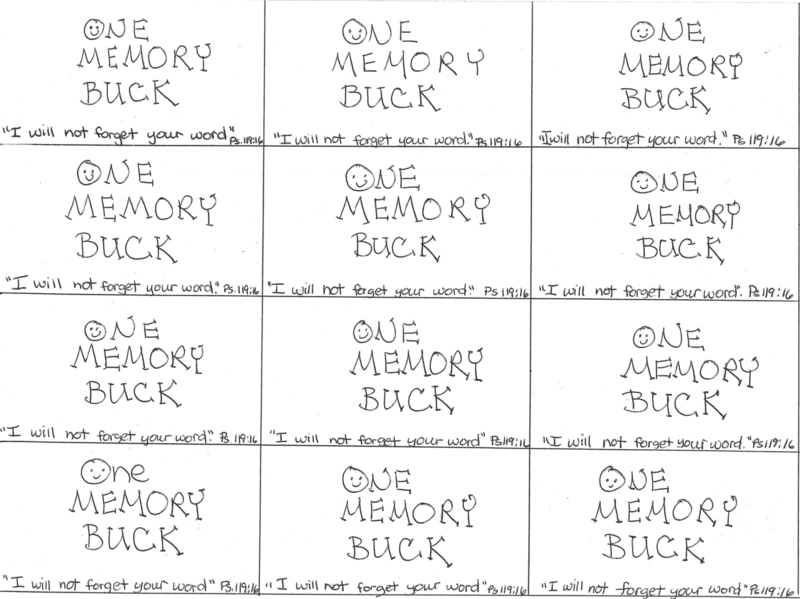 3:15) See “memory buck” worksheet below….the kids seem excited about starting this. I will start the “store” with small prizes like stickers, gum, gel pens, bouncy balls, hot wheels etc. and a few larger items for those who wants to save up their bucks ! 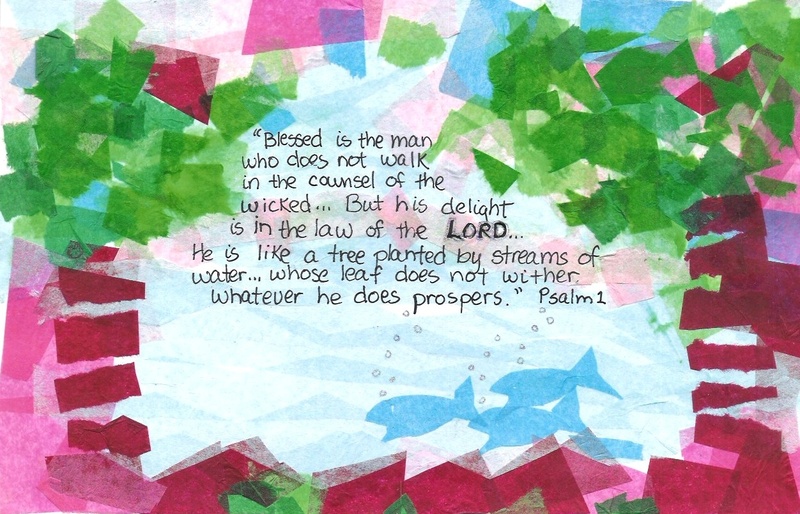 You can illustrate almost any Bible verse with colored tissue paper and thinned white glue…apply with brush. 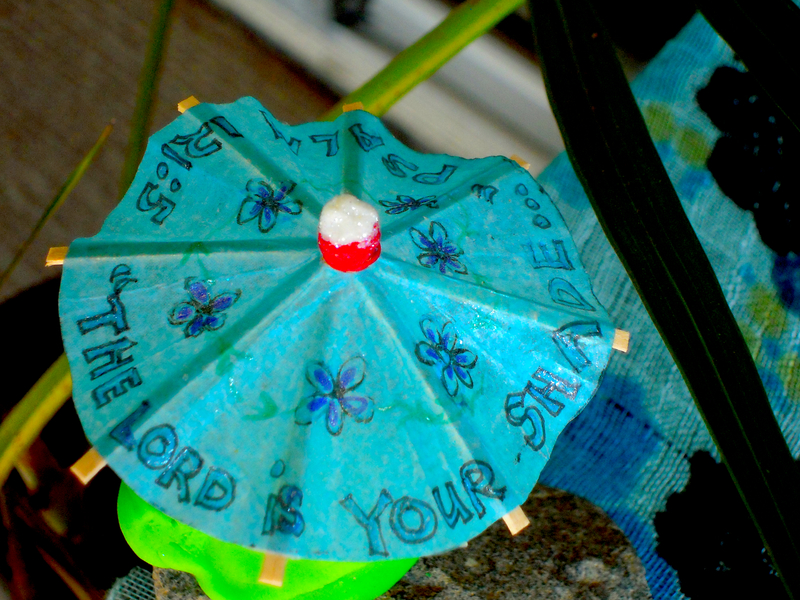 Write verse when surface is dry.